You can tell Project Cars is releasing soon because there have been a lot of trailers lately. This latest one is focused on the game's multiplayer offerings, but it's really just another excuse to look at shiny cars and nice weather effects, all in 60 frames per-second. After a number of delays Project Cars is finally releasing on May 8 and will definitely not be delayed. You can even run it in 12K if you want. Welcome to the future. 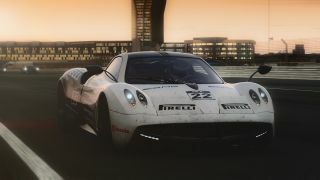 Oh, and it looks like Project Cars 2 is already in planning, which makes sense: after a protracted development period for Project Cars, Slightly Mad Studios is no doubt keen to wring the most out of the engine they've built.